Kahoot is a well known responseware program in Primary and Secondary schools. The teacher starts a ‘Quiz’ on his own PC and shows the questions one by one on a large screen, using a projector or a interactive board. The students answer using any digital device: PC, tablet, smartphone. The results are displayed graphically on the teachers’ PC and can thus be viewed on the large screen. The answers are anonymous to other students, but the teacher can download a file and analyse the results later. 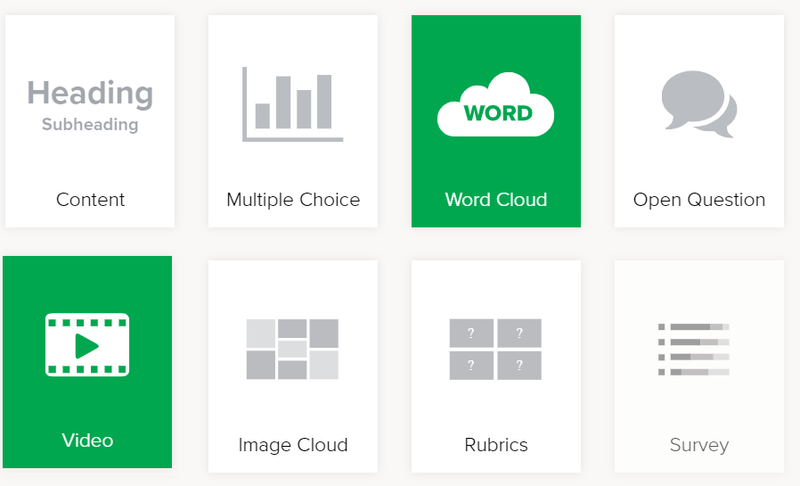 A Kahoot Quiz can be used to check students’ knowledge, but can also be used to check what students know before instruction on a new topic takes off. DiScoro offers training and workshops in the use of Responseware, such as Kahoot, Socrative, and in how to create various types of questions. Kahoot offers two quiz options: Quiz and Survey. A question in a Quiz requires one correct answer. In a Survey all answers are correct. Students think that Kahoot is fun. Kahoot is easy to use. The use of Kahoot during your lessons does not take much time. After the first time you can use Kahoot within 10 minutes. Kahoot offers only Multiple-choice questions. It is not possible to use an open question where students write in their own answer. Students must respond under time pressure. The maximum time you can allow for answering one question is 3 minutes. We think this is rather short and unfortunately does not allow for discussion or more difficult questions. Kahoot uses a picture or a video with every question. If you do not upload a picture, then Kahoot will use its own picture. It is therfore wise to always upload a picture that matches the question. You might experience that if you do not turn down volume completely that the program come along with quite a loud tune all the time. EOSØR Kristiansand uses interactive whiteboards. EOSØR provides vocational education in the area of electronics. The teachers at EOSØR received their first training in the use of SMARTBoard. They have already many ideas and inspiration for the next school year. The new students can expect lessons from teachers who will use this new technology in the classroom. In July the second training session will be held in which they will be indtroduced in the use of responseware in the classroom.